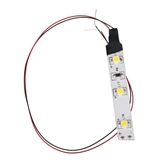 These miniature LED lights from Evan Designs LED are ideal to brighten spaces where lamps aren’t the right look, or where there isn’t room for conventional lighting, or where portability is important. 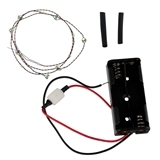 Most are battery powered and switch-operated; some can wire directly into existing 12-volt systems. 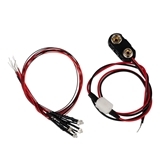 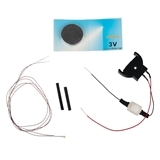 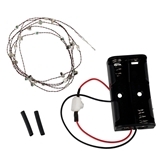 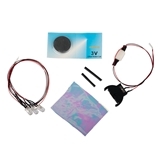 All are designed for easy installation: Just place and secure the LED where you want it, run the wires away to where the battery will be, connect the LED wires to the battery wires (or a 12-volt plug, if appropriate) using the provided heat-shrink tubing, and switch on the light.